Worthing Anarchists are supporting a new Anti-Fascist Network. It is being built by independent and grassroots groups seeking to working together against the rise of fascism in our communities. Over the last year alone, the English Defence League (EDL) have held as many as 20 marches or static protests and attempted to disrupt anti-racist meetings andbenefit gigs. Anti-fascists have opposed the EDL wherever they go and continue to shut down BNP meetings, but we should be more effective. The aim of the Anti-Fascist Network is to support local actions, ensuring that anti-fascists are never outnumbered, join together to counter regional and national EDL events, share resources and provide legal support. The Anti-Fascist Network is not about telling people how to campaign in their areas, what type of anti-fascist activity they should undertake or what political analysis they should adopt. We simply want to cooperate to defeat fascism and organised racism. The Anti-Fascist Network is non-hierarchical, will never work with the police and is not affiliated to any political party. Other groups involved so far include Brighton Anti-Fascists, Portsmouth Anarchists, Plymouth Antifa and Welsh Antifa. A TALK about an important anarchist thinker is being held at the excellent Cowley Club in Brighton on Wednesday May 4. Gustav Landauer is now often overlooked, but this German-Jewish revolutionary played a key role in the development of anarchist thinking before he was murdered by proto-fascist soldiers in Munich in 1920. The talk, by Gabriel Kuhn, starts at 7pm at the club at 12 London Road, Brighton. Video footage from March 26 in London here! 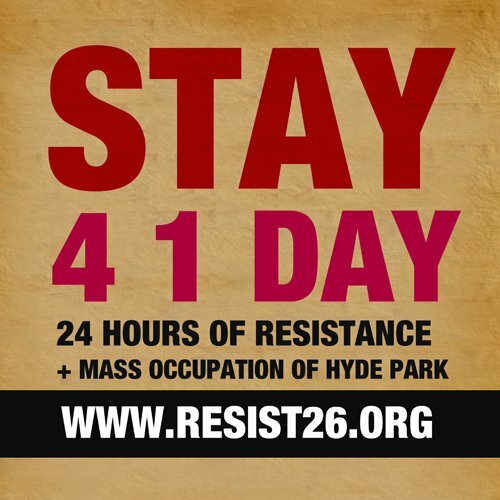 Resist in London on March 26! Whoever you listen to, it seems Saturday March 26 is shaping up to be an important day in the 21st century British political history. A lot of people are concerned about the way the TUC is planning its mass march through central London and the extent to which it seems to be collaborating with the authorities to minimise its impact. In response to this, support is now growing for plans to extend the protest over Saturday night and into Sunday – to make it a 24-hour occupation of Hyde Park and possibly other key parts of London. 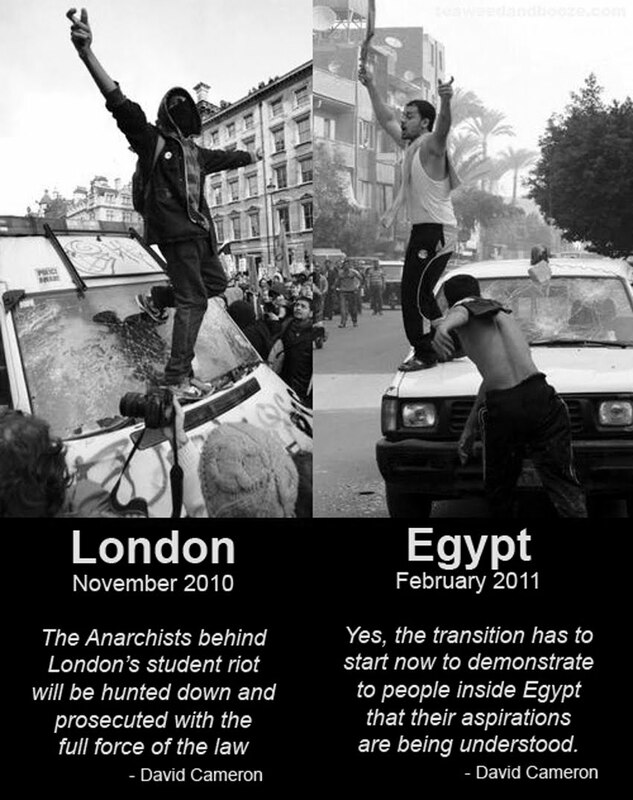 We have all seen how protesters in Tunisia, Egypt and Libya did not simply go home at the end of a march, but made their presence felt by claiming a space as their own. While Worthing Solidarity Network is doing a great job in organising coach transport to London (which is cheap and can even be free for those who cannot afford it), it was pointed out at its last meeting that people are under no obligation to take the coach back home again straight afterwards! The aim of the transport is to get numbers of people at the protest – we would encourage everyone who cares about the future of this country not only to be in London on March 26 but also to make provisions for staying on there long after the coaches head back for home (hopefully empty). In response to the government public sector spending cuts the Trade Union Congress along with a variety of Trade Unions and organisations are marching through London to protest against government spending cuts will damage public services and put more than a million out of work. They will hit the vulnerable, damage communities and undermine much of what holds us together as a society. The TUC are unfortunately working closely with the police to enforce strict rules on how we can protest on the day, even going so far as to employ stewards that liaise with a police communication HQ. We will protest how WE see fit, we don’t need the permission of the TUC or anyone else. Therefore we propose that rather than a typical A to B march with the same boring speeches that we actually take action for our communities and make a stand in London. We think that people should take what action they deem is necessary for themselves. After all it is YOUR struggle. We call for the TUC to endorse a general strike along with other trade unions to show not only fight austerity measures being taken in this country but to show solidarity with other struggles worldwide. Rather than getting back on the coaches after a non event day, stay in London with us for 24 hours and lets see what we can do? Hyde Park will serve as one occupied territory, from which we can support various actions across London. The idea of the occupation is to reach out to layers of trade unionists and others who would otherwise just get the coach home.They share our view of the TUC leadership’s gesture politics but aren’t yet ready to occupy buildings or break the law. Rather than take the coach home feeling like nothing has been achieved lets see what happens? IF YOU get all your information from the mass media, you may think that anarchism is all about violence or chaos – but in fact the opposite is true. Anarchists want a peaceful, happy society – but know that this is not possible under the corrupt, hypocritical, power-crazed system we currently live under. We say that most human beings are basically decent and responsible and that, left to our own devices, we are quite capable of existing in harmonious societies, much like the rest of the natural world. But something has gone wrong. Badly wrong. Across the world today people are suffering from poverty, from horrific living conditions, from war, from oppression, from pollution and from the sheer misery of existing in a society spiralling constantly downwards from disaster to disaster. What sort of future is there for our children and grandchildren? Anarchists understand that this mess is not going to be solved by voting for useless political parties at elections, by tinkering with a few details or introducing compromise reforms. We aim for nothing less than the restoration of true democracy – power arising from below, from the grassroots, from the people. Government imposed from above is a crime against us all. Some ill-informed critics see a contradiction between opposing the state and opposing the powerful financiers and Big Business interests that enslave humanity and wreck our environment. But, if you think about it, states and governments are in fact the very tools with which the capitalists dominate and rob us. Corporations don’t have to pay to protect their own financial interests. Instead, they rely on governments to do it for them, whether by sending armies to secure natural resources (like oil), in foreign countries or by unleashing police violence to crush democratic protest against injustice. And, as a final insult, these governments are funded by the hard work and taxes of the ordinary people – while the Fat Cats themselves use all kinds of tricks to wriggle out of paying their share of the taxes which are used for their benefit. 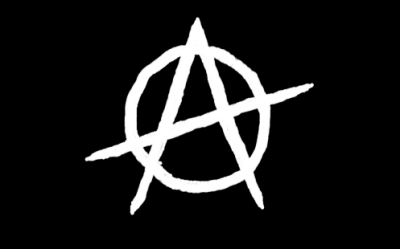 To find out more about the anarchist struggle for freedom and justice in theory and in practice, try some of the websites in the links section. 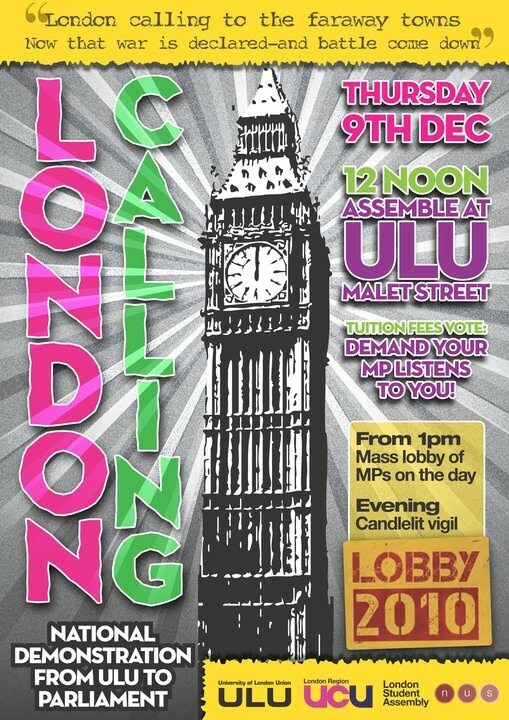 March on Parliament - December 9! Like most anarchist groups, we do not have a formal membership. If you think you're a worthing anarchist, then you are. If you want to join in our activities or just meet and chat, then get in touch. There are no age limit, lower or upper, no dress codes or other restrictions - only police officers are not welcome on our activities! 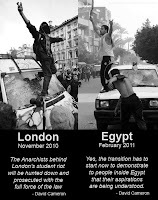 On the other hand, you can be a worthing anarchist without ever having anything to do with any of us. The way you live your life, the things you say to other people, the stuff you get up to in your spare time - all of these can also make you an anarchist. For some of us, however, that in itself is not the way we want to express our revolt and we feel the urge to organise directly and politically under the black banner of anarchy.